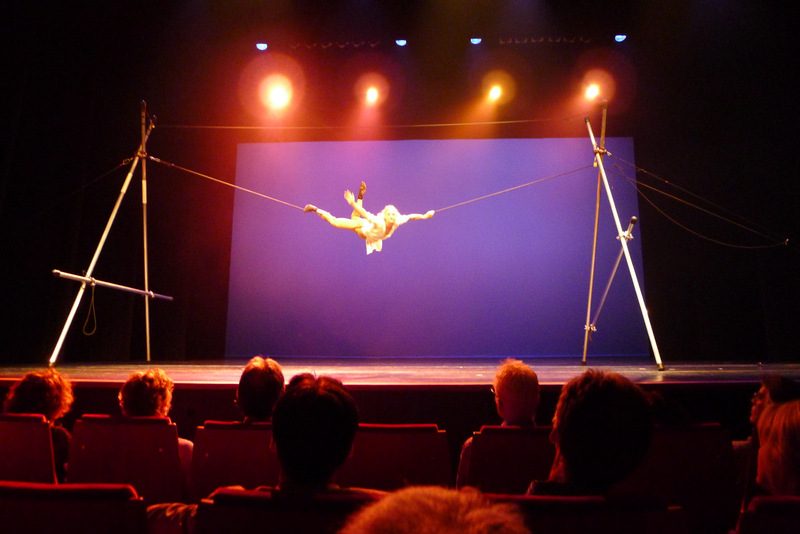 A unique and innovative act combining all my skills on the slack rope with a specially designed rigging setup, allowing me to be lifted and lowered during the act. 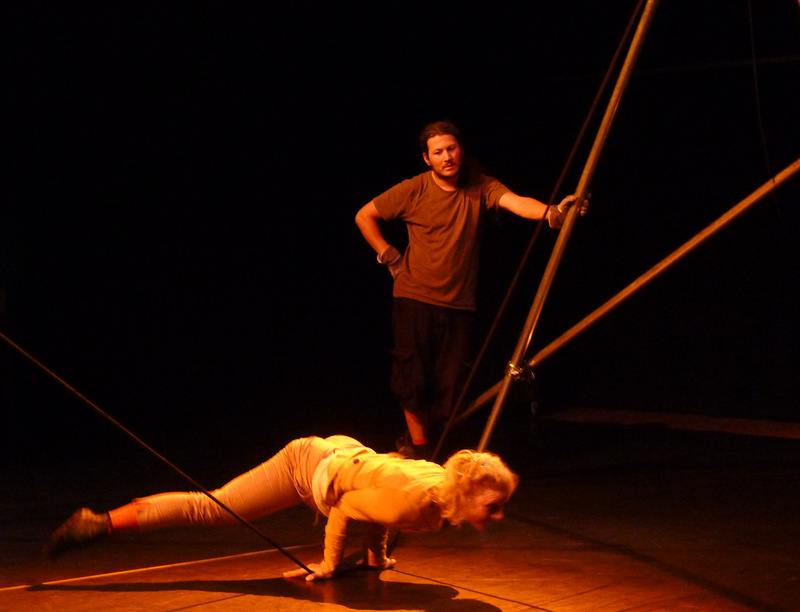 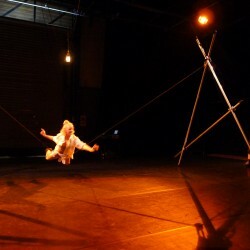 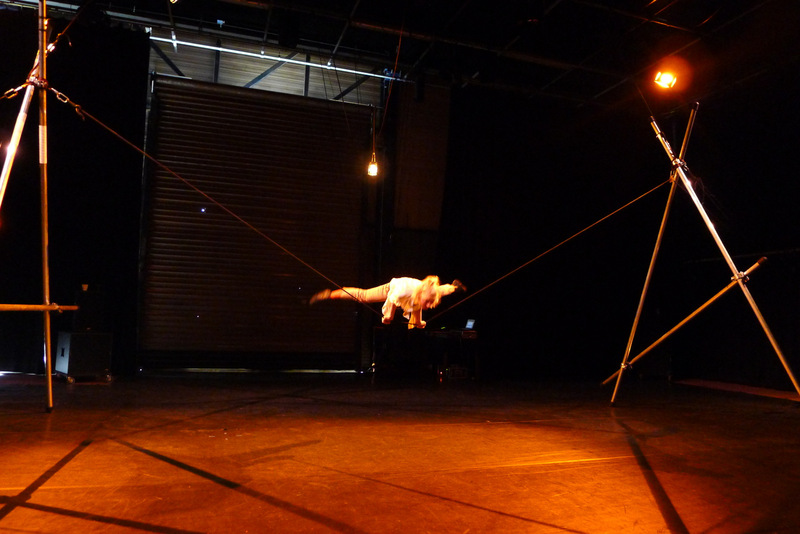 This act was developed as part of the show “Push Me, Pull You!” together with Tom Richmond, technician and rigging designer, who also forms part of the performance. 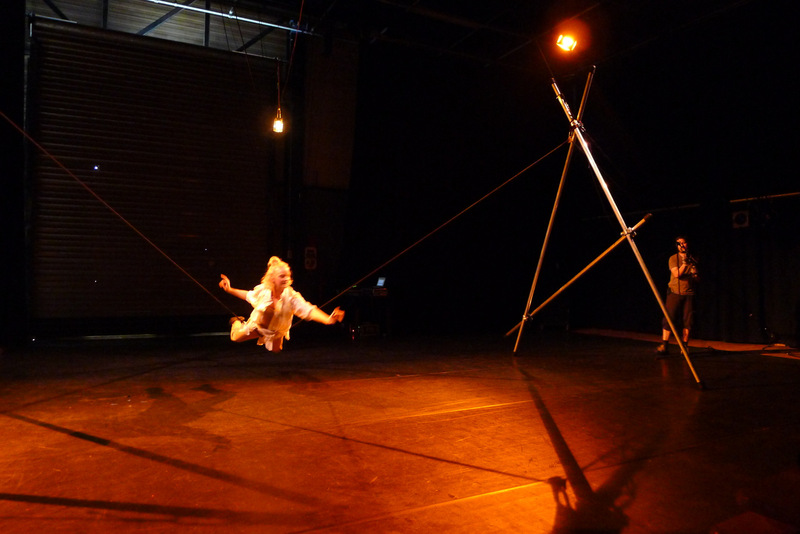 The connection between us onstage is delicate and sensitive and an integral part of the act. 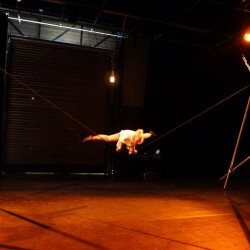 Performed to original music, composed by Alex Stoloff.